They’re still using analytic dashboards, but tying the data to strategic goals. It’s 7 a.m. in San Antonio, Texas, and Rich Marcogliese, chief operating officer of Valero Energy, is holding his usual morning meeting with the plant managers of 16 major refineries throughout the United States and Canada. 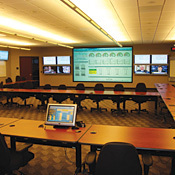 On the walls of the HQ operations center are a series of monitors centered by a giant screen with a live display of the company’s Refining Dashboard. Whether the executives are in the room or connected remotely, all eyes are trained on the Web-accessible gauges and charts, which are refreshed with the latest data every five minutes. For Valero, surprisingly little-known for a Fortune 10 (that’s right, one-zero) company with more than $118 billion (with a “b”) in revenue, just one dashboard needle moving from green to red might signal millions of dollars at stake. The point of the dashboard isn’t to call managers out; it’s to give executives timely information so that they can take corrective action. Valero’s Refining Dashboard is just the sort of cutting-edge decision-support tool that thousands, if not tens of thousands, of companies are now attempting to create. Those companies have embraced the idea that decisions based on fact will consistently beat those based on gut. Business bestsellers including “Competing on Analytics,” “Super Crunchers,” and “The Numerati” have documented that it’s an approach that works. Financial analysts, board members, and even the news media increasingly expect sound, data-backed analyses from top management. And when things go wrong, regulators and, in some cases, even district attorneys follow the numbers to trace bad decisions. Plenty of obstacles stand in the way of better decision support, from backward-looking metrics and ill-advised goals to antiquated budgeting approaches and technophobic executives. For management teams that can make use of the data–and these days there’s always plenty of data–there are huge opportunities to improve efficiency, develop innovative products, get closer to customers, and outsell competitors. Valero rolled out its dashboard in early 2008 at the behest of COO Marcogliese. He had launched a Commitment to Excellence program aimed at improving performance, and he wanted to see real-time data related to plant and equipment reliability, inventory management, safety, and energy consumption. Whether driven by Total Quality Management (TQM) programs, Balanced Scorecards, or another methodology (more on those later), information-driven companies tend to succeed by establishing clear goals and expectations that are aligned from the top of the organization down to departments and individual employees. When results start coming up short, executives can manage the exceptions along the way rather than hoping for the best and reacting to surprises at the end of a quarter. Valero’s goals and measures were inspired by Solomon benchmark performance studies well known in the oil and gas industry. Real-time performance data is compared against daily and monthly targets, and there are executive-level, refinery-level, and even individual system-operator-level dashboard views. It’s rare among business intelligence deployments to get fresh data every five minutes, but Valero has tapped directly into “process historian” systems at each plant in a six-month deployment of SAP’s Manufacturing Integration and Intelligence application. The data is aggregated and displayed using SAP BusinessObjects Xcelsius software. A major focus of Valero’s Commitment to Excellence program is reducing energy consumption, so the company is rolling out separate dashboards that show detailed statistics on power consumption by unit and plant. “Based on the data, managers can share best practices and make changes in operations to reduce energy consumption while maintaining production levels,” CIO Zesch explains. Estimated savings to date: $140 million per year for the seven plants where the dashboards are in use, with expected total savings of $230 million per year once the dashboards are rolled out at all 16 refineries. The successes have created dashboard-envy within Valero, so IT is working on similar dashboard programs for sales and marketing as well as the strategic sourcing unit. The terms “scorecard” and “dashboard” are often used interchangeably, but there’s an important distinction. Scorecards are all about tracking against defined metrics, and most scorecards are attached to a methodology, such as the Balanced Scorecard or TQM, says Mychelle Mollot, VP of worldwide marketing, analytics, and performance management at IBM. “Top executives have actually laid out a map for where they want to drive the business, and they’ve created metrics that will drive the behavior that will get them there,” Mollot says. Dashboards display key performance metrics and perhaps green, yellow, and red zones, but they don’t tend to show predefined targets or goals established by management and aligned to strategy. Whether they call their decision-support tools scorecards or dashboards, only a small percentage of leading companies have actually mapped out enterprise-wide goals with a formal methodology. (The Balanced Scorecard Hall of Fame currently lists only about 120 members, including Best Buy, Hilton, UPS, and Wells Fargo.) Some companies come up with their own methodologies, but the key question is whether it’s a comparative decision-support interface –does it track performance trends relative to predefined goals? A much larger chunk of companies use dashboard-style interfaces that simply monitor the health of the business. “These types of decision-support tools aren’t often attached to a grand methodology or linked down to the bottom of the organization,” Mollot says. It’s not that monitoring-oriented dashboards can’t be effective. But without high-level business strategizing (as Valero has done), there’s a danger you’ll end up sharing the wrong metrics. Sales stats and financial measures, for instance, can be lagging indicators, and decisions based on this data might miss a looming shortfall that might be obvious in sales pipeline information. At Elkay Manufacturing, a $1 billion plumbing fixture and cabinetry maker, the CFO has led the company to embrace both the Balanced Scorecard (taught by The Palladium Group) and the Beyond Budgeting/Continuous Planning Framework (promoted by the Beyond Budgeting Round Table). The idea behind continuous planning is to be adaptive, revising plans and forecasts each quarter and always looking out six quarters rather than four. The conventional budgeting process, by contrast, often takes too long, it’s a fixed contract, and “compensation schemes tied to it tend to encourage all sorts of bad behavior, like people sandbagging or just budgeting amounts based on last year’s budget,” says Adam Bauer, corporate planning manager at Elkay. Elkay put most of its decision-support technologies in place over the last two years. It tapped Host Analytics’ software-as-a-service financial performance management system, which it uses for budgeting, planning, reporting, and end-of-quarter financial consolidation. The system also supported the move, completed in September, to 18-month budgeting and planning cycles. Elkay chose Acorn Performance Analyzer software for activity-based costing–analyses that reveal the true cost of delivering products (including manufacturing, distribution, sales and marketing, and warranty claims) as well as the true cost of sustaining customers (including products purchased, discounts applied, and ongoing service and support costs). Elkay already had both Oracle (PeopleSoft) and SAP ERP systems in place as well as an Oracle data warehouse. For decision support, Oracle Business Intelligence Enterprise Edition pulls information from all of these systems to deliver multilevel scorecards and dashboards. “It starts with the corporate scorecard and it rolls down from there to the divisions and all the way down to individual-employee goals that affect bonuses at the end of the year,” Bauer says. Bottom-up feedback, he says, is gathered during quarterly strategy reviews. Few companies have worked as hard or as long at data-driven decision-making as Johnson & Johnson. In the 1980s, J&J embraced TQM and Phil Crosby’s Zero Defects approach. In the ’90s it moved on to Malcolm Baldrige-type criteria for performance excellence. Early in this decade, J&J focused on process excellence, and by mid-decade it had embraced powerful improvement tools including Six Sigma, Lean, Value-Stream Mapping, and Design Excellence. What most of these approaches have in common is an iterative process of assessing opportunities, developing goals, implementing improvements, and then monitoring their success with the aid of decision-support tools. Indeed, fact-based decision-making is now “part of the culture at J&J,” says Karl Schmidt, VP of business improvement, who leads a nine-person internal management consulting group. J&J is decentralized, so there’s no single, overarching corporate dashboard. There are separate dashboards–or in some cases, balanced scorecards–within the pharmaceutical, consumer, and medical device and diagnostics product divisions and the dozens of companies in each of those groups. The key performance indicators include a mix of financial metrics (revenue, net income, cash flow); customer metrics (satisfaction, loyalty, market share); internal process metrics (product development, manufacturing efficiency, fulfillment); and employee measures (engagement, satisfaction). As late as 2006, J&J estimated that all the top-line and bottom-line improvements rolled up across the company totaled more than $1 billion a year in “value creation,” Schmidt says. But more recently, those improvements haven’t been enough to insulate J&J from what he describes as “brutal economic conditions.” Early this month, J&J announced a restructuring that will cut up to 7,000 of its 117,000 employees worldwide. Restructuring is rife across the pharmaceutical industry, and Schmidt says having good decision-support tools is more important than ever. Maine Medical Center created a dashboard this year to help it win reaccreditation as a Magnet-Designated Hospital for nursing, an elite distinction. The dashboard delivers eight key metrics on patient safety and satisfaction by hospital operating unit, so that nurses, nurse directors, and administrators can log on and check personal performance, unit performance, and rollups for the entire hospital. Fortune 10 energy company Valero provides real-time data to managers at its 16 refineries. Over the last three years, the medical center has used SAS Institute’s balanced scorecard software to codify patient-care quality and safety strategies as well as supporting goals and measures. Most goals are delivered though performance-improvement dashboards, which seem to be getting the job done. Maine Medical has been named to the U.S. News and World Report Best Hospitals list three times (for gynecology, orthopedics, and heart care), and its Cancer Institute in Scarborough, Maine, was selected this year as one of five model cancer programs in the United States by the Association of Community Cancer Centers. Some of the most decision-support-savvy executives can be found in e-commerce. For example, Patrick Byrne, CEO of Overstock.com, is said to use dashboards to help set his daily schedule. If the problem of the day is gross profit margins, that will drive who he calls in for a discussion. “If you get invited into a meeting with that kind of metrics-oriented CEO, you better have your hands on the data, including the detail at the next level down,” says David Schrader, director of strategy and marketing at Teradata, the vendor behind Overstock’s data warehousing environment. Overstock can roll up its profit and loss statement every two hours, “which is absolutely world class,” Schrader says. That capability gives executives accurate, up-to-date insight into the financial results they can expect, and it also drives operational decisions such as spot buys of TV advertising. Whether a company is an e-commerce powerhouse or not, digital marketing channels like e-mail, social media, and online advertising networks are increasingly important. Thus, top executives should be watching forward-looking, upstream measures such as Web site performance, Web-driven lead generation, and sales pipeline information. Here, again, you must be careful to select the right metrics. And once prospects become customers, you’ll want to know if they are good or bad customers. That’s where analyses such as activity-based costing and customer segmentation come in. Lessons learned should come full circle and be reapplied to lead-generation campaigns and marketing offers. Considering all the IT systems now in place, the growing dominance of Internet-based marketing, and the intensely digital nature of services-based industries, there’s no doubt that data-driven decision making is the way forward. But the key questions are, how prepared are these organizations to synthesize and share key performance indicators, and how prepared are executives to draw insight from information? CIO surveys, software sales stats, and business bestsellers point to surging interest in business intelligence and business analytics. Villanova University’s School of Business recently responded by changing its curriculum with data-centric decision making in mind. For example, it added an undergrad course on analytics and risk assessment, and it updated the statistics courses required at both the undergrad and MBA levels to be more practical and applied. The curriculum changes were guided in part by extensive interviews with a group of 16 business leaders (including Schmidt of Johnson & Johnson). The resulting “Current State of Analytics in the Corporation” report says nearly as much about tech skills as it does about executive decision support: The sweet spot for new hires continues to be that elusive combination of technical and business know-how and the ability to “tell a story” with data. A passionate Information and Data Architect with experience of the financial services industry, Andy’s background spans pharmaceuticals, publishing, e-commerce, retail banking and insurance, but always with a focus on data. One of Andy’s principle philosophies is that data is a key business asset. This entry was posted in Business Intelligence, Information Management, Intelligent Enterprise, Software and tagged Acorn Performance Analyzer, activity-based costing, analytics, Balanced Scorecard, Balanced Scorecard Hall of Fame, BI SaaS, Business Intelligence, dashboard, Data Sharing, decision-support, Elkay Manufacturing, fact-based decision-making, Host Analytics, Information Management, information-driven, near time data warehousing, Oracle BIEE, real time data warehousing, real-time data, Solomon benchmark performance, Total Quality Management, TQM, Valero Energy, Xcelsius. Bookmark the permalink. The thing about dashboards, and you allude to this in your comprehensive and informative article, is that the user (consumer) of the dashboard is a limiting factor: tech skills being proportional to adotion and use of dashboards. And as you go down the scale to smaller companies, I find that’s even more prevalent: people uncomfortable with relying technology to direct their attention and preferring to wade through pages of detailed reports. I think there’s an education component that’s frequently missing – which ideally should start before at the outset of the project.